We are coming off an epic weekend of playoff football. While I hate when people try to put things in historical context immediately after the events happen, any non-Saints fans can agree that the end of the Saints/Vikings game was one of the greatest moments in NFL history. However, many people have many great things to say about this past weekend of three fantastic football games. I do not have anything novel to add. Therefore, while everyone else zigs, I will zag and say something I have wanted to say for six months about the MLB Trade Deadline. I am a purist when it comes to sports. If you have read some of my other blog entries, you might have picked up on this. At the same time, I am an Economics teacher who majored in Mathematical Economics in college. Therefore, in previous blog entries, I have preached of purist ideas only if there is economic defense for them. For example, I hate the NHL’s 3-on-3 overtime and shootouts, but I do not push for the NHL to eliminate these occurrences. I know that enough people like these things. Thus, the league would be making an economic mistake to get rid of them. That is why I instead proposed the 3-2-1-0 point system as a sound way to improve the 3-on-3/shootout situation. It satisfies both the NHL’s purists and the NHL’s profits. That said, today I am going to deviate from my usual rule of advocating change only if it makes economic sense. I am going to speak of a change that the purist in me would love but that the economist in me would hate. 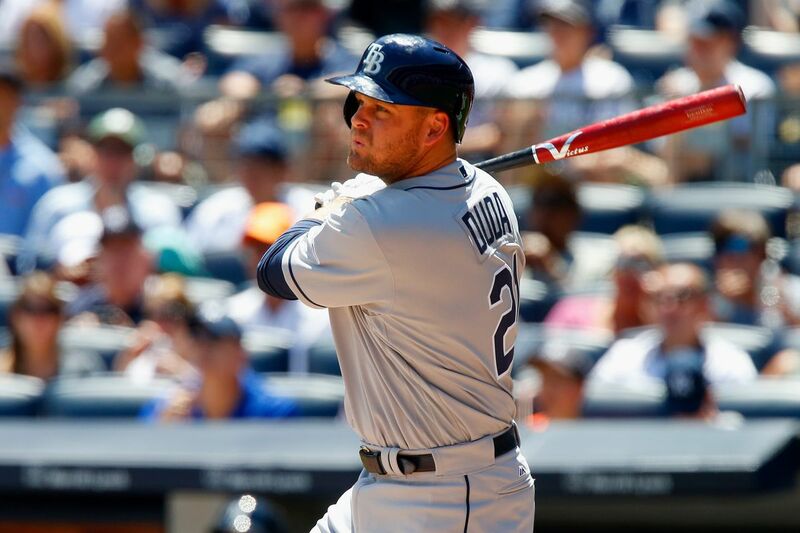 Here it goes: I wish that MLB would move its trade deadline to its former date of June 15. Because of economic reasons, this change will never happen, but I am going to discuss my purist desire for the change anyway. It is my understanding that the spirit of a trade deadline is that leagues do not want teams who are out of playoff contention to unload all of their top players during the last week of the season. It would not seem right to have the top teams in a league suddenly get an influx of great players during the last week. However, bad teams would be inclined to make such deals, in that they could receive prospects and salary relief in exchange for players who would be of little-to-no value when that team becomes good again. Actually, I assume that this is the logic that led Major League Baseball to the June-15 trade deadline in days of yore. Back then, the league was likely very concerned about teams unloading their top players for prospects as soon as the teams were to fall out of playoff contention. Back then, MLB probably did not like the idea of subpar teams trotting out minor-league lineups in August and September after having traded so many top players. Then again, in those days, there were fewer entertainment options in this world. Therefore, fans were happier to keep watching their non-playoff teams until the end of September. In fact, during that time, only 4 teams made the playoffs each season, so many fans never even had expectations of their teams qualifying for the postseason. It is a psychological truth that lower expectations can often lead people to greater happiness than higher expectations. As a result, in modern baseball; by late August, bad teams have unloaded most of their good players. Meanwhile, good teams have loaded up on players from bad teams. I hate this. I know that this will not change because of economic reasons, but I still hate this. The New York Mets are a professional baseball team, but they traded Lucas Duda, Curtis Granderson, Addison Reed, Jay Bruce, and Neil Walker last July and August. Based upon the trade deadline, those were all wise decisions by the Mets. Most fans nowadays stop watching when a team becomes bad, so the Mets might as well have traded those expiring contracts for prospects. That said, the purist in me believes that those five players should have stayed on the Mets until the end of the season. The purist in me hates that top teams like the Cubs and Nationals were gifted September games against the Mets with a bunch of minor-leaguers playing. The purist in me says that this is the whole reason why the trade deadline used to be June 15. Granted, full disclosure: the Mets greatly benefited in 2015 and 2016 from such trade-deadline moves. During both seasons, the Mets beat up on teams like the Phillies and Reds – teams who were already bad but who became worse in August after trading top players. I was happy to see the Mets win those games, and I was ecstatic for the Mets to ride 2015-deadline-acquisition Yoenis Cespedes to an NL-East title. As a Mets fan, I loved all of that. However, today, in the dead of winter two years later, I can sit back and concede that my inner purist wishes that baseball were not this way. I wish that teams had to decide by June 15, when no more than 2 or 3 teams are “out of playoff contention”, what trades they were going to make. This way, you would not have traditional “buyers” and “sellers”. Instead, you would have teams making “baseball” trades – current talent for current talent. Sure, you would have rare cases where atrocious teams would already be unloading good players on June 15. However, it would take a really bad team and a general manager who is willing to admit defeat to his or her fan base in June for this to happen. Meanwhile, the best result of this deadline change would be that bad teams would no longer suddenly get worse during the last two months – and the most important games for good teams – of the season. This would make the last two months of the season more competitive across MLB. At the same time, good teams would not be able to improve suddenly with a month left in the season. It was a great story to see Justin Verlander help Houston win the World Series, but the purist in me has trouble with the star of a championship team arriving a month before the playoffs. Likewise, good teams with bad bullpens in July never need to worry, because they can always poach good relievers off bad teams. Look at Robertson, Kahnle, Doolittle, Madson, etc. 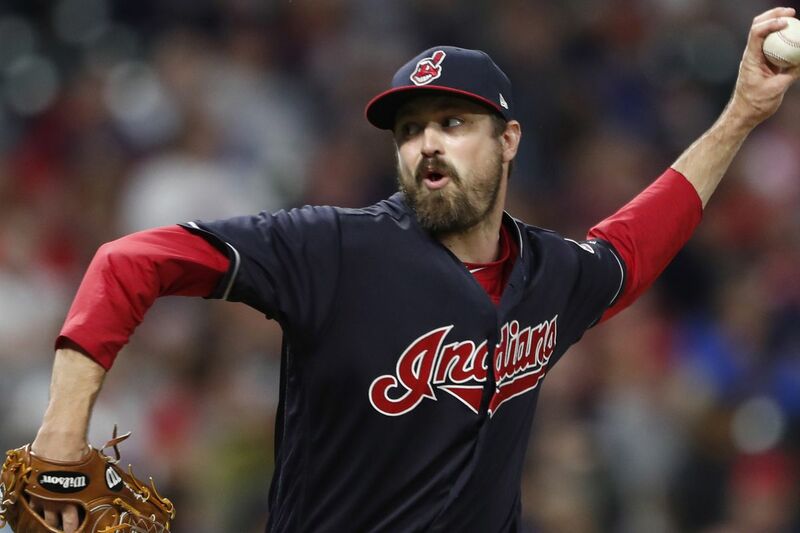 We saw the Yankees and Nationals have no trouble acquiring quality relievers last summer, a year after the Yankees traded Andrew Miller and Aroldis Chapman to the ultimate pennant-winning teams. Look at the rosters of any playoff team, and you are likely to find a reliever or two poached from a bad team in July or August. I do not like this. Again, this will never change. The trade deadline will never move forward. Why won’t it change? This is how business is done now. With 10 playoff teams, it is now easier than ever to improve from being a 90-loss team one season to being a playoff team the next, as I hope the Mets will do this season. Gone are the days when teams needed to build great rosters over several years with the hope of someday reaching the 95-win plateau. That was in the 4-playoff-team era, when only the elite teams played in October. Now, fewer than 90 wins is often good enough for a playoff berth. Now, if you are a bad team, you might as well unload your top players for prospects and salary relief. In the offseason, you can sign free agents, and, if your team is good enough as of late July, you can add rentals for a championship run. Moreover, with 10 playoff teams, “good enough as of late July” can often mean “a few games below .500”. This is the logical way to run a baseball team nowadays. Furthermore, the month of July is super-exciting because of all the trade possibilities. While the purist in me dislikes the current deadlines, the Mets fan in me loves spending all summer on Metsblog looking at trade rumors. MLB knows that I am not the only person like this. People spend a lot of time watching baseball, MLB TV, and team websites monitoring potential trade activity. Plus, in a league with 10 playoff teams and in a world with endless forms of entertainment, fans do not have time to watch teams with no playoff chances. Therefore, the combination of having 10 playoff teams and July 31/August 31 trade deadlines is best for the overall interest in MLB and thus for MLB’s and teams’ bottom lines. Therefore, the July 31/August 31 trade deadlines are here to stay. However, the purist in me will never like this. Before the 2017 World Series began, I wanted to write a column that ranks the World Series of the modern era. However, I remembered how miserable I felt before the 1999 and 2006 World Series, the two series that followed devastating Mets playoff losses. In fact, I ended up watching very few pitches of the 1999 World Series and none of the 2006 World Series. I was that bitter that the Mets were not there. Anyway, the editors of “Below the Belt Sports” are big-time Yankees fans, and I do not know how much of the series they are/will be watching. That said; rather than sending them a World Series article a day or two after the Yankees’ elimination, I figured I would give them a few extra days of mourning, Alonzo, before they had to read this article. Anyway, as a baseball fan, it excites me that we have our first World Series matchup of 100+ win teams since the 1970 Reds/Orioles showdown. If you have read any of my previous posts, you are likely aware that I do not like it when the World Series features teams who were not dominant through the 162-game regular-season marathon. However, this Houston/LA matchup is a matchup of two heavyweights. This is great for baseball. The best ways to hype a World Series are to have dominant teams, big markets, dynasties, superstars, and/or teams with long championship droughts. Given this, I thought it would be fun to rank the World Series of the Wild Card era by hype leading into the series. Then, it would be fun to compare these rankings to how great the series ended up. Note that, when I rank the series based on how great they actually were, I give the most weight to the pure excitement of the baseball (regardless of storylines entering the series) while also giving secondary weight to those other storylines. 23) 2003: Florida Marlins over New York Yankees in 6. Classic ALCS – Aaron Boone’s walkoff homer in Game 7. 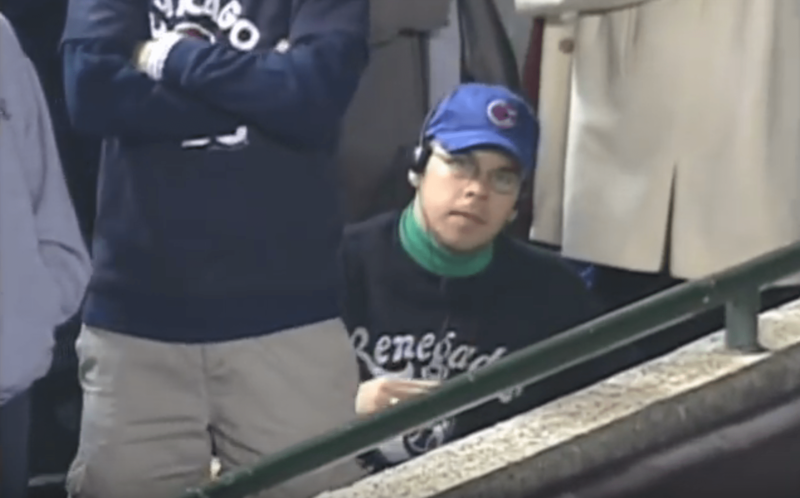 Classic NLCS – Steve Bartman, Moises Alou, and Alex Gonzalez. America was ready for Boston and/or the Chicago Cubs to play in the World Series, ready to end their legendary droughts. Instead, we got the Yankees for the 5th time in 6 years and the ratings-kryptonite Marlins. 22) 2007: Boston over Colorado in 4. While the Red Sox did draw a national audience, the Rockies – even with an incredible 22-1 run that ended at the end of the NLCS – were not a big draw. Plus, the Red Sox had ended their drought three years earlier, and most people had gone through September expecting to see the Phillies, Mets, or Cubs in the World Series. 21) 1997: Florida Marlins over Cleveland in 7. Let’s just get done with the Marlins here. While Cleveland had not won a World Series in 49 years, the 1997 Indians had won only 85 games. This was supposed to be a rematch of the 1996 Yankees/Braves series or a battle of the 97-win Orioles and Braves. Even Harry Caray couldn’t be bothered with previewing the players in this one. 20) 2012: San Francisco over Detroit in 4. While these are two classic franchises, San Francisco had already won its first SF title in 2010, but its down 2011 season had kept the team from developing an air of dynasty. Plus, Washington and Cincinnati were the clear two top teams in the NL that season. A Giants/Yankees matchup would have also been intriguing, but Derek Jeter’s injury in Game 1 of the Tigers/Yankees ALCS derailed chances of that one. 19) 2011: St. Louis over Texas in 7. At the time, I was surprised by the lack of hype for this series. Texas had never won (and still has never won) a World Series, and Dallas-Fort Worth is a major market. Plus St. Louis is a classic franchise and has the second-most championships of all time. However, what I think does not matter. Also, it might not have helped that, for the second-straight season, the Phillies were the class of the NL in the regular season but came up short of the Fall Classic. 18) 2006: St. Louis over Detroit in 5. Sure, the Cardinals had not won a World Series since 1982, but that was not a long drought. Plus, they were 83-79 in 2006. 83 and friggin 79. I did not watch any of this series. I do not need to say any more. 17) 2005: Chicago White Sox over Houston in 4: This was the tipping point for me when I realized, “Oh crap. People don’t care about the World Series anymore.” 6 of the previous 7 Fall Classics had featured the Yankees or Red Sox, and most of those series brought the hype. I figured that the White Sox, a team with a drought 2 years longer than the Red Sox of the previous year and a team from Chicago, would be great for ratings. Chicago and Houston are both top-4 markets. Houston was looking for its first-ever championship. However, the hype just was not there. These two teams, even with Houston employing Roger Clemens, could not excite America. 16) 2014: San Francisco over Kansas City in 7. Washington grabbed the top seed in the NL. The Angels nabbed the top seed in the AL. We were set for Trout and Harper in the Fall Classic. Oh wait, the two teams won a combined one playoff game, and we were blessed with two Wild Cards in the World Series. Again, the Giants’ subpar 2013 season kept them from having the “dynasty” appeal. 15) 2002: Anaheim Angels over San Francisco in 7. As much as non-Yankees fans might dislike the Yankees, those fans love to tune in to root against the Yankees. The first non-Yankees World Series since 2002 meant a decrease of hype. However, neither of these teams had won a championship in their current somewhat-large-market locations, and Barry Bonds was in his ridiculous steroid-induced prime. These facts helped garner interest. 14) 2010: San Francisco over Texas in 5. Again, Texas’s first WS appearance did not bring the hype I would have expected, but the fact that neither Texas nor San Francisco had won championships in their current locations helped. I would say that, since Anaheim is not truly “LA”, Texas brought slightly more hype than Anaheim, hence the reason for this being above 2002. 13) 2000: NY Yankees over NY Mets in 5. Yes, the hype was incredible in the Tri-State area, but much of the rest of the country was disinterested in an all-New York Fall Classic. 12) 2008: Philadelphia over Tampa Bay in 5. In my mind, six MLB teams are always big for national hype: Phillies, Mets, Yankees, Red Sox, Cubs, Dodgers. The first Phillies’ World Series in 25 years would have been ranked higher if not for the fact that they were facing off against a moribund Rays franchise with no real fans. 11) 1999: NY Yankees over Atlanta in 4. We have now entered the realm of the series with high levels of hype. While it was nauseating for me to have to choose to root for John Rocker or for Roger Clemens, this was the last World Series to pit two dynasties against each other. The Yankees had won 2 of the previous 3 World Series, and the Braves were playing in their fifth World Series of the decade. Dynasties are good for business. 10) 2001: Arizona over NY Yankees in 7. Sure, 4th-year expansion teams in the desert don’t exactly scream “YUUUUUGE ratings”, but this was New York after 9/11. It did not matter who was representing the NL; this series would be of great interest. 9) 1998: NY Yankees over San Diego in 4. San Diego was not a major draw, but the Yankees had won of the best records in MLB history. Would they finish the job like the 1927 Yankees or fall short like the 1954 Indians (note: the “2001 Mariners” reference did not exist yet)? Would the Yankees officially become a dynasty? 8) 1995: Atlanta over Cleveland in 6. The top regular-season finishers in the two leagues met in the Fall Classic. 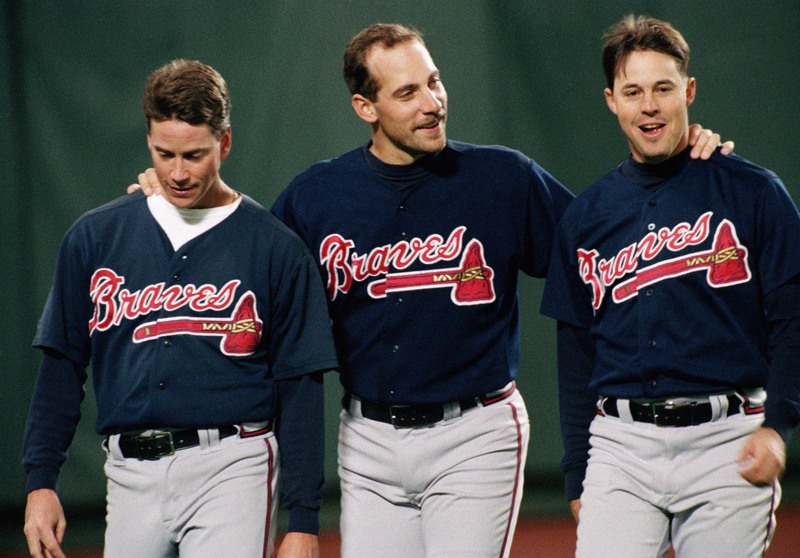 Would the Braves finally win a title in their third World Series of the 1990s? Would Cleveland get its first championship since 1948? This series would have actually ranked higher except that a) many baseball fans had not yet returned after the strike, and b) a horrible idea known as “The Baseball Network” ensured that fans could watch only one Division Series and one League Championship Series. That’s right, 4 of the 6 playoff series leading to the World Series were not on TV in your area…the year after the strike cancelled the World Series. And you wonder why MLB had turned a blind eye to steroids by 1998. 7) 2015: Kansas City over NY Mets in 5. The Mets are usually a draw, especially in 2015, 29 years after their most recent championship. In 2015, the Royals too had become a decent draw, as they ha fallen short in Game 7 of the World Series the previous year. “New York vs. Small Market” is always a winning formula. 6) 2017: Houston vs. LA Dodgers. See the intro. 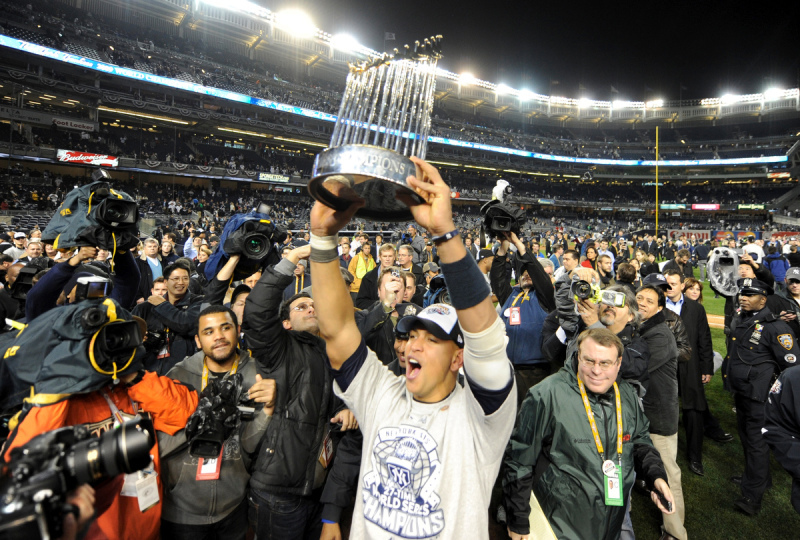 5) 2009: NY Yankees over Philadelphia in 6. This is one of only two World Series matchups in the Wild Card era to feature two “Top Six” hype teams. However, the other was NY/NY, which did not quite work. This series was a big draw, as the Yankees were trying to end a 9-year drought (long for the Yankees), while the Phillies looked to repeat. Short-term dynasty vs. long-term dynasty. Good stuff. 4) 2013: Boston over St. Louis in 6. St. Louis is in the second tier in terms of hype. They are a classic franchise with a storied history, but they can’t do it all themselves. Fortunately, this was another case in which any NL team would have still allowed this series to have hype. It was Boston in the year of the marathon bombing. It was a big story. 3) 1996: NY Yankees over Atlanta in 6. The Yankees had not won a championship in 19 years, which seemed like centuries for fans of the Bombers. The Braves were looking to repeat. This was another case of a short-term dynasty facing a long-term dynasty. Still good stuff. 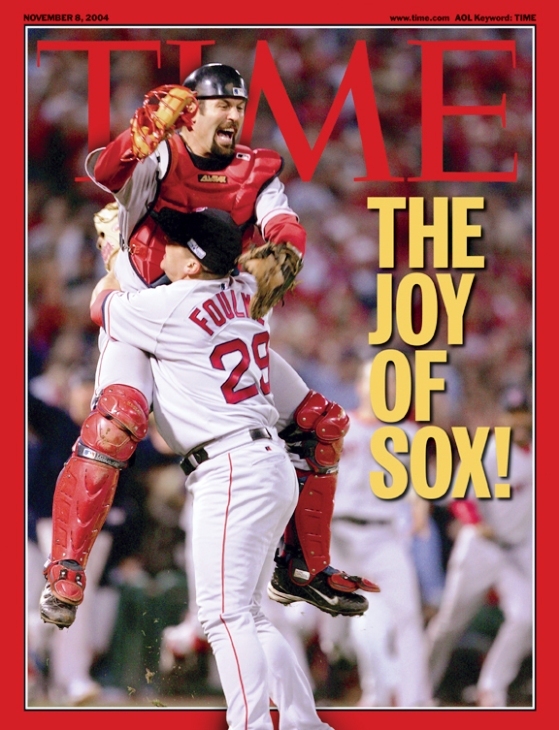 2) 2004: Boston over St. Louis in 4. There are many things that have driven big baseball-playoff ratings over the past 23 years, but two factors stand supreme: the Red Sox’ drought and the Cubs’ drought. For the Red Sox to vanquish the Yankees in the ALCS after falling down 3-0 and then have the chance to erase an 86-year championship drought, no story could be bigger than this…. 1) 2016: Chicago Cubs over Cleveland in 7. …except for the Cubs having the chance to end a 108-year championship drought. Just for good measure, the Cubs’ opponent happened to be the Indians, who were sporting the second-longest active drought of 78 years. From now to eternity, it will be tough to beat that storyline. Now that you have seen my rankings of hype, let’s see how the series on the field actually measured up to their hype. The “hype” ranking is in parentheses, while the rankings are for the actual quality of the series. Incomplete (6)): 2017 Houston vs. LA Dodgers: Game 2 has already clinched that this series will finish no worse than 14th on the list. Game 2 was one of the greatest games in World Series history. The Astros tied the game in the 9th, before the Dodgers erased a 2-run deficit in the 10th (including being down 1 with 2 outs and nobody on base). There have been 22 extra-inning homeruns in World Series history (dating back to 1903), and five of them happened in this game. Let’s hope the rest of the series is as thrilling as Game 2. 22 (22)) 2007: Boston over Colorado in 4. Impeccable consistency here. The series finished in last place in both rankings. There was little hype going into the series, and Colorado’s 22-1 run was squashed by an embarrassing sweep at the hands of the Red Sox. The most memorable moment of the series was Ken Rosenthal announcing during the 8TH inning of Game 4 that A-Rod would be opting out of his contract. 21 (2)) 2004: Boston over St. Louis in 4. Don’t take this personally, Red Sox fans. While sweeps are awesome when you are the winning end, they are ho-hum for any impartial observers. While it was exciting that the Red Sox finally won a championship, nothing on the field – other than Doug Mientkiewicz taking the ball from the last out – was memorable to non-Sox fans. 20 (20)) 2012: San Francisco over Detroit in 4. Again, sweeps are not exciting. On the bright side, the Giants had to go 10 innings to win Game 4 on a Marco Scutaro hit. On the downside, that game was during the day that Superstorm Sandy hit many people on the East Coast, so the World Series became an afterthought in many places. 19 (11)) 1999: NY Yankees over Atlanta in 4. In the grand scheme of sweeps, this one at least had the excitement of a walkoff homerun by Chad Curtis in Game 3. To top it off, he refused to speak to interviewer Jim Gray after the game. In Game 2, MLB had honored the greatest players of all time before the game, and Pete Rose was one of the players. After the ceremony, Jim Gray had asked Pete Rose about the gambling stuff, and many people thought it was neither the time nor the place to ask the question. 18 (9)) 1998: NY Yankees over San Diego in 4. Oh joy, another Yankees’ sweep. While this did not have a walkoff homerun, it did have three memorable components: 1) The fact that the Yankees were trying to finish an all-time great season; 2) Trevor “I’d better not make the Hall of Fame” Hoffman blew a save in Game 3; and 3) in Game 1, Tino Martinez hit a grand slam after he watched Strike 3 from Mark Langston on the previous pitch. 17 (17)) 2005: Chicago White Sox over Houston in 4. Just as the Red Sox had ended their drought with a sweep the previous season, the White Sox did the same. At least the White Sox had the dignity to give us a Scott Podsednik walk-off homer in Game 2 and a 14-inning win in Game 3. 16 (18) 2006: St Louis over Detroit in 5. We are finally out of the sweeps! Kudos to Detroit for winning a game. I did not watch any of this series, but it is my understanding that the Tigers’ pitchers made a lot of throwing errors. Also, I should mention that the Cardinals went 83-79 this season. 83-79!!! 15 (12) 2008: Philadelphia over Tampa Bay in 5. Philly ended its 28-year drought, and this series had the added suspense of the longest game in MLB history. Game 5, the clincher lasted over 48 hours. Never mind that the game was suspended for rain on Sunday night and then resumed on Tuesday night. It is funny that Phillies fans had to suffer through 48 hours of expecting their team to blow the series. 14 (14) 2010: San Francisco over Texas in 5. It was exciting for the City by the Bay to get its first MLB championship. Edgar Renteria had the game-winning homerun in Game 5, to join his game-winning walk-off hit in the 1997 World Series. Somehow, in between, he managed to make the last out for St. Louis against Boston in the 2004 World Series…and then played the next season for Boston, who lost in the ALDS, the next year. What a weird, Beltranian run of postseason ups and downs. 13 (15)) 2015: Kansas City over NY Mets in 5. While it was a short series, three of the Royals’ four wins were won in the 8th inning or later. Oh joy. I guess you want me to tell you more. In Game 1, Alex Gordon hit a game-tying homerun in the 9th inning, allowing the Royals to win in the 13th inning. I really don’t want to go into much detail about Games 4 and 5, so let’s just leave it at “Daniel Murphy’s glove”, “David Wright’s peripheral vision”, and “Lucas Duda’s arm”. 12 (13)) 2000: NY Yankees over NY Mets in 5. While it was a short series, two of the Yankees’ four wins were won in the 9th inning or later. I really don’t want to go into much detail here either, so let’s just say, “Paul O’Neill, Jose Vizcaino, and Luis Sojo”. Oh, this World Series did also feature the most bizarre moment in World Series history. 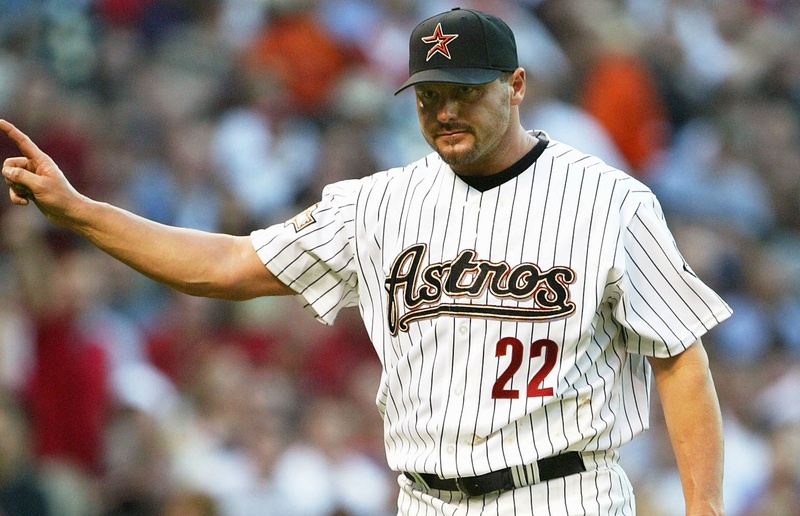 Roger Clemens is a jerk…and he definitely was not on steroids. 11 (8)) 1995: Atlanta over Cleveland in 6. 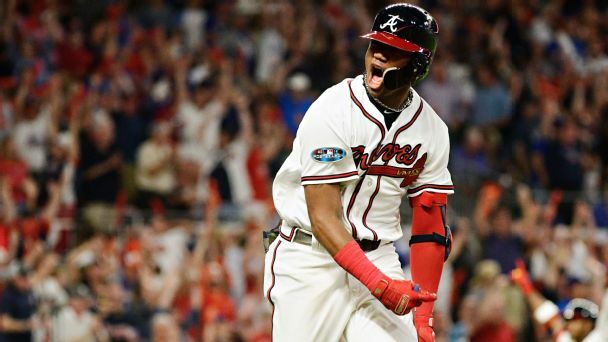 Atlanta won its first World Series championship, and it went six games. However, the series lacked in defining moments. My biggest memories of the series are of Tom Glavine and Mark Wohlers teaming up for a 1-0 win in Game 6, backed by a David Justice homerun. 10 (4)) 2013: Boston over St. Louis in 6. This series was similar to 1995 in that it was balanced enough to go 6, but there were not many legendary moments. However, this series gets the edge over 1995 because of the “Boston Strong” storyline. 9 (5)) 2009: NY Yankees over Philadelphia in 6. Another similar setup to 1995 and 2013. However, having Johnny Damon’s mad dash and having two “big hype” teams gives this series the tiebreaker. 8 (23)) 2003: Florida Marlins over NY Yankees in 6. Many people – even some Yankees fans – could not have cared less about this series. It is too bad though. Game 4 was a classic, with Ruben Sierra’s two-run, two-out triple tying the game in the Top of the 9th. Wow, Ruben Sierra was on the Yankees in 2003. To quote Mike Francesa, “That’s pretty incredible when you think about it.” Then, the Marlins’ Alex Gonzalez – not to be confused with the Cubs’ Alex Gonzalez, whose Game-6-NLCS error was just as big as Bartman – hit a walk-off homerun in extra innings. In the end, Josh Beckett’s Game-6 complete-game shutout at Yankee Stadium on 3 days’ rest is an all-time great World Series feat. That shutout clinched the series for the Marlins. 7 (3)) 1996: NY Yankees over Atlanta in 6. The Braves destroyed the Yankees in the first two games at Yankee Stadium, only for the Yankees to win four straight, including the first three in Atlanta. The highlight was Jim Leyritz’s 3-run homer to complete a 6-run comeback for the Yankees in Game 4. Many Yankees swear that Joe Girardi’s triple in Game 6 created the loudest sound they have ever heard at a Yankees game. 6 (21)) 1997: Florida Marlins over Cleveland in 7. We have had 6 7-gamers in the Wild-Card era, and this was clearly the worst of the bunch. The first six games represented all the bad stuff that had begun to permeate baseball at the time: 1) frigid games (more likely once the Division Series was added), 2) long games with a ton of scoring, and 3) a Marlins team full of rental players. While those rental players were still there for Game 7, Game 7 was at least a classic. The Indians were 2 outs from a championship when the Marlins plated the tying run in the Bottom of the 9th, off Jose Mesa. Later, in the 12th inning, Edgar Renteria would single home the winning run off Charles Nagy. It does not matter how bad a series might be for 6 games. When you have extra innings in Game 7, that is a treat. In fact, I believe it has only happened in 1991, 1997, and 2016. 5 (16) 2014: San Francisco over Kansas City in 7. Again, the first six games were not incredibly memorable, but Madison Bumgarner’s performance was. After pitching a shutout in Game 5, he pitched 5 innings of scoreless relief in Game 7 (on two day’s rest) to bring home the win. Pablo Sandoval caught the last out in foul territory, fell to the ground, and really has never come back to his feet since that moment. 4 (15) 2002: Anaheim Angels over San Francisco in 7. Of all the epic comebacks/choke jobs in baseball history, this is the most underrated. 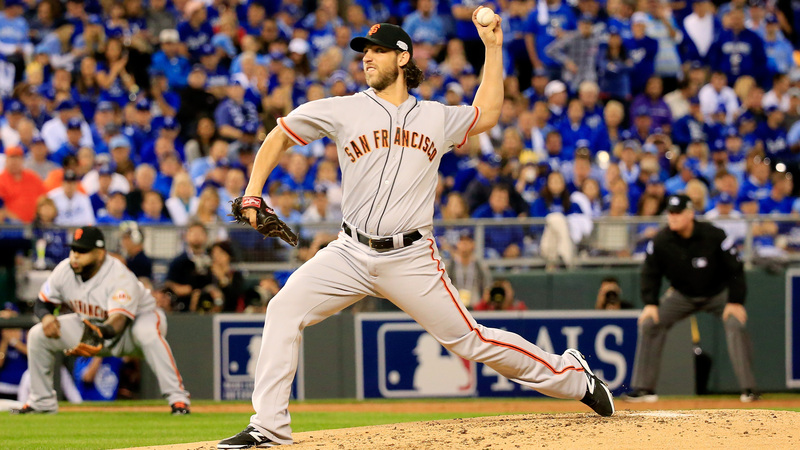 The Giants were up 3 games to 2 and up 5-0 in the 7th inning of Game 6. The Angels proceeded to score 6 runs in the 7th and 8th innings to get the win. That is pretty incredible stuff. Then, rookie John Lackey (yes, there was a time where he was the young guy) outdueled Livan Hernandez (I am pretty sure he was never young though) in Game 7. 3 (1) 2016: Chicago Cubs over Cleveland in 7. I think we all remember this one. Joe Maddon tried incredibly hard to lose the series for the Cubs, overworking Aroldis Chapman in Games 5 and 6. By the time Game 7 rolled around, Chapman was gassed. Rajai Davis’s two-run homer punctuated a game-tying 3-run 8th inning for the Indians. Then, to Maddon’s and Chapman’s credit, Chapman somehow pitched a scoreless 9th inning when it seemed like the Cubs were destined to blow it again. Not only did Game 7 go into extra innings, but there was a rain delay in the Top of the 10th, after which the Cubs scored 2. 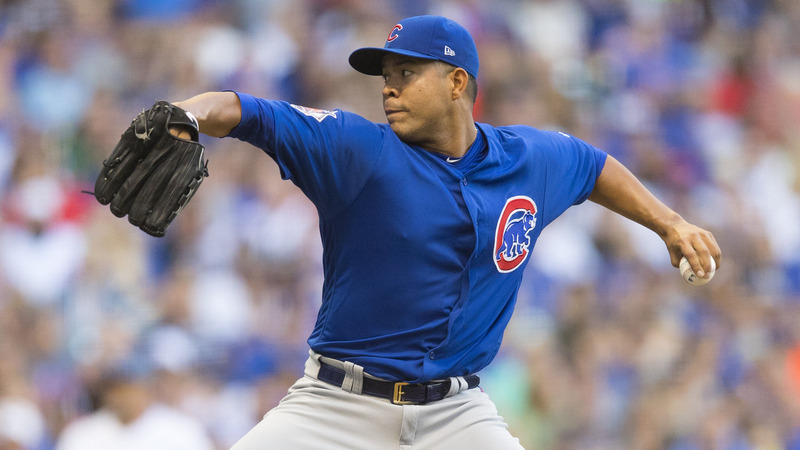 Of course, the Cubs had to withstand a Rajai Davis RBI single, have the winning run come to the plate for Cleveland, and go to Carl Edwards Jr. and Mike Montgomery to close things out….but the Cubs finally did it. 2 (19) 2011: St. Louis over Texas in 7. Earlier, I mentioned how shocked I was by the little hype this series had. That, however, does not make me as mad as the fact that this series gets so little recognition as an all-time great series. Game 6 is the single-greatest baseball game I have ever seen. Only three times in World Series history has a team been down to its last out and ended up winning the series. Obviously, the 1986 Mets (down 2, 2 outs, nobody on base) were one example. The other two examples were both the Cardinals…in back-to-back innings here. In the 9th inning of Game 6, the Cards were down 2 with 2 on and 2 out. David Freese hit a double that Nelson Cruz really should have caught. That tied the game. Then, Josh Hamilton hit a 2-run homer in the Top of the 10th. In the bottom of the inning, the Cardinals scored 1 run but found themselves down 1 with 2 outs and a runner in scoring position. Lance Berkman then got a game-tying hit, before Freese hit a walkoff homer the next inning. How we do not bring up Texas fans when we bring up tortured fan bases, I do not know. What a brutal loss. 1 (10) 2001: Arizona over NY Yankees in 7. This is the crown jewel of World Series in the Wild Card era. Sorry, Yankees fans, it’s true. However, even though the Yankees lost, four of the greatest Yankees moments of the past 20 years came in this series – Tino’s game-tying 2-run homer with 2 outs in the 9th of Game 4, Derek Jeter’s “Mr. November” homer to win Game 4, Brosius’ game-tying 2-run homer with 2 outs in the 9th of Game 5, and Alfonso Soriano’s game-winning hit in Game 5. Games 4 and 5 were absolutely incredible. Back-to-back Yankees wins when down by 2 and down to their last out. We will probably never see that again. Even more incredibly, Arizona managed to win the series. Of course, Mariano Rivera allowed the game-tying and game-winning runs in the Bottom of the 9th of Game 7, with Luis Gonzalez getting the game-winning hit. Along the way, Curt Schilling and Randy Johnson dominated their way to co-World Series MVPs. On the Yankees’ side, Roger Clemens even delivered what would have been a legendary start in Game 7, had the Diamondbacks not come back to win. This is the best World Series of the Wild-Card Era and right there with 1991 Minnesota/Atlanta for the best World Series I have seen. And there you have it. Two sets of World Series rankings. I hope you enjoyed this walk down memory lane.